The history of Zippo is the story of its people. From its founder George G. Blaisdell, to the many Zippo employees, customers, and collectors who have all played a vital role in the company’s rich history. Their loyalty and dedication has made Zippo one of America’s greatest and most recognizable icons. 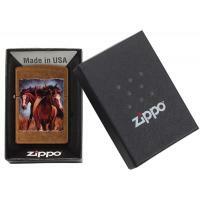 The Zippo pocket lighter is ingrained in American culture and is a global icon of durability and reliability. 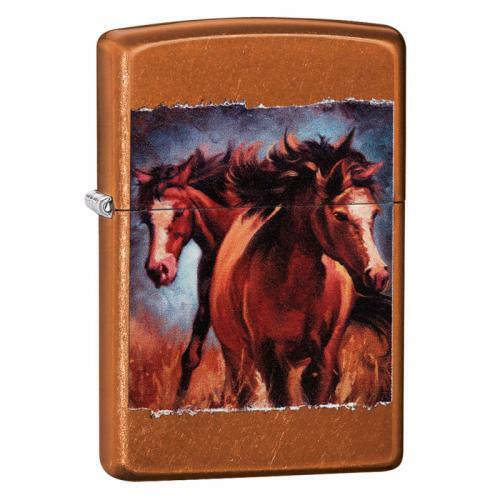 A pair of chestnut horses roaming free with manes blowing in the breeze is featured on this Toffee lighter. For optimal performance, fill with Zippo lighter fluid. 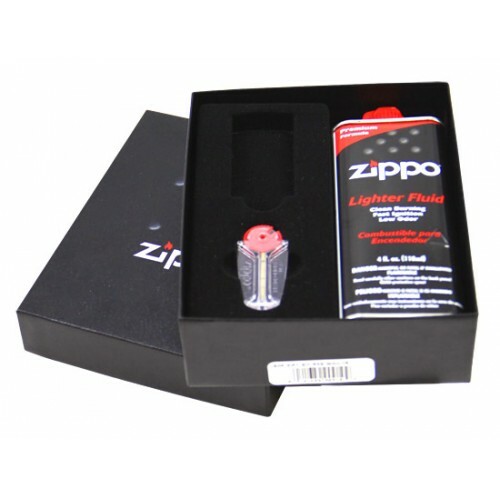 Upgrade to include Zippo gift kit - includes a 6-flint dispenser and a 4 oz. 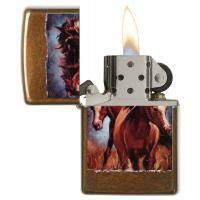 can of Zippo lighter fluid - All presented in a beautiful gift box - ideal for those special occasions. - Made in USA; Lifetime guarantee that "it works or we fix it free™"
- Genuine Zippo windproof lighter with distinctive Zippo "click"
- Refillable for a lifetime of use; For optimum performance, we recommend genuine Zippo premium lighter fluid, flints, and wicks.